These days, business almost can’t survive at all without a great online presence. In fact, shopping online has become such a popular activity that many stores don’t even have a brick and mortar location any more. With the right product or service, a Post Office box, and a great website, you could easily be competing with top brands in your industry in no time. But the key, as in everything, is ensuring that your online presence is absolutely perfect. Customers spend so much time online these days that any little mistake in a website is bound to be noticed, and quickly. You need to ensure that the website building and hosting service you choose is the best, but how do you go about choosing from the dozens, or even hundreds, of services that are out there? The first thing you need to decide is what kind of service you are looking for. For example, if you plan to blog or update with sales and new product information regularly, you’ll probably want a platform that includes a blog. Services like Wordpress and Squarespace offer plenty of great features plus a standard blog that you can use to keep your client base in the know. 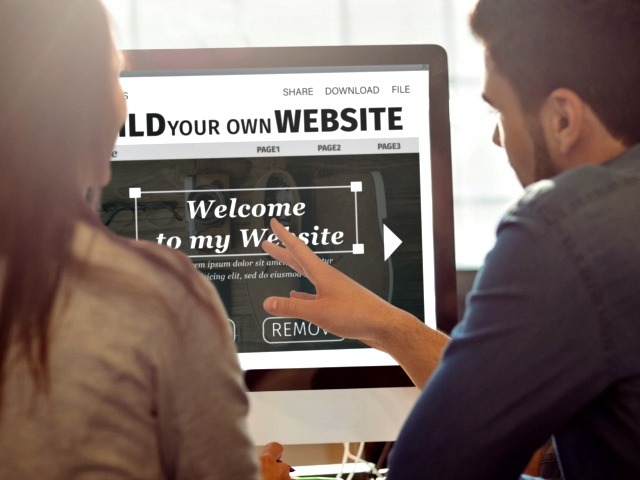 If you need a store built into your website, where your clients can download digital purchases or order from a catalogue, there are website builders that have great e-commerce features that you can try, such as iPage or Squarespace. Some website building and hosting services are focused on targeting your mobile audience, such as DudaMobile and Impress.ly. If you’ve noticed a large spike in your mobile hits, this may be a great way to get in touch with your most active client base. Make a list of what you need your website to accomplish, and keep it in mind as you are comparing. You’ll want to be sure that you investigate pricing thoroughly before you buy. Many services like Wordpress and Wix offer a truly free version of their website building and hosting, but others offer only a free trial, which quickly becomes a monthly plan. Some offer discounted first years that double in price on the second, so you need to be sure that you look into all of that information first. Money back guarantees are common, such as the one offered by iPage, but so are fees for cancellation, such as the ones charged by both Web.com and Network Solutions. For the most part, these services are all relatively in the same price range, but you may find that the blogging services are a bit easier on the wallet, because they are also aimed at personal websites, not just businesses. At the end of the day, the only website hosting service that will work for you is one that offers as many of the features that you need while staying in your budget. The best thing to do is check out our website for reviews, where we lay out all the pros and cons for the most popular website building platforms around.